I’m covered in warm mud and wrapped up tight like a cocoon. The feeling is strange, and I can’t move. At first, I’m claustrophobic, but then the spa therapist clucks her tongue and utters soothing words I can’t understand. She turns off the lights and leaves me to relax. It’s all part of the unusual “Mud Wrap” treatment at our resort on the banks of the Dead Sea. The Isrohotel, Dead Sea Resort and Spa is known for its spa products, which are rich with minerals from the Dead Sea. I’m not sure exactly what is in the mud that covers my body, but I have to admit, the result is soothing. Earlier in the day, some friends and I had gone swimming in the lukewarm waters of the Dead Sea. The water is so rich in salt, magnesium and other minerals that your body floats with little effort. In fact, it’s hard NOT to float. Many come to the Dead Sea in search of better health. The sun and sea water are said to be good for the body. How could I resist that? At more than 1,300 ft. below sea level, the Dead Sea has the lowest elevation on earth. The desert air is dry and the land barren. Today, there’s a haze clinging to the water, and I can barely make out the hills of Jordan on the other side of the sea. While there are resorts dotting the coastline here, the region is largely undeveloped. It looks like it must have looked for thousands of years. The Dead Sea is just one of the many popular destinations in Israel. This tiny country in the Middle East is rich with history and religious tradition. The region is considered a Holy Land for three of the world’s main religions – Judaism, Christianity and Islam – and thousands of religious pilgrims visit Israel year-round. The region’s history goes back thousands of years, and much of this history is still visible today. With so much to see, it’s hard to know where to start your visit to Israel. 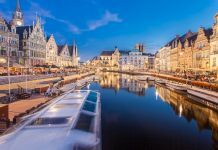 So I asked a few locals to show me the places they recommend. Here is their list of the top 10 things to do and see in Israel. 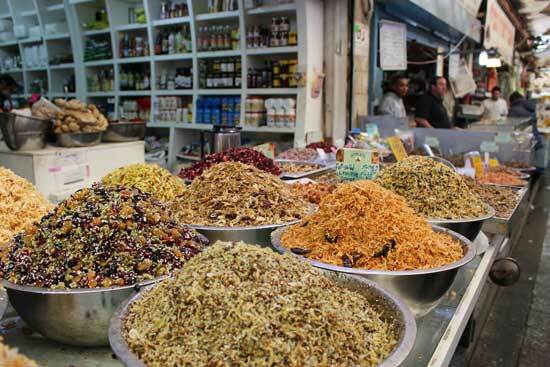 A shuk is an open-air market filled with vegetables, fruit, fish – and lots of wonderful smelling spices. In Israel, as in many parts of the Middle East, the shuk is an important part of the community. For visitors, shopping in a shuk provides a window into the people, sights, smells and sounds of this multi-cultural nation. 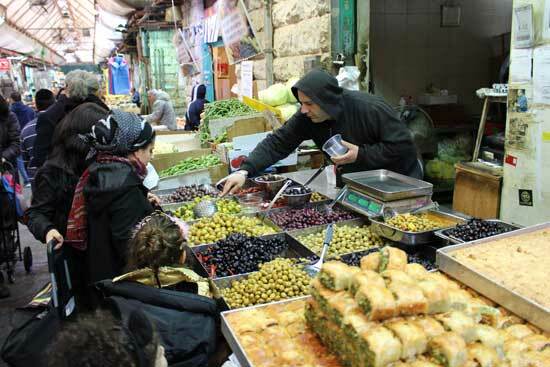 My favorite shuk was the Mahane Yehuda Market in Jerusalem. Go for lunch and you can eat your way through the diverse culinary options at the market. Masada is an ancient fortification that sits high above the desert in the southern part of Israel. 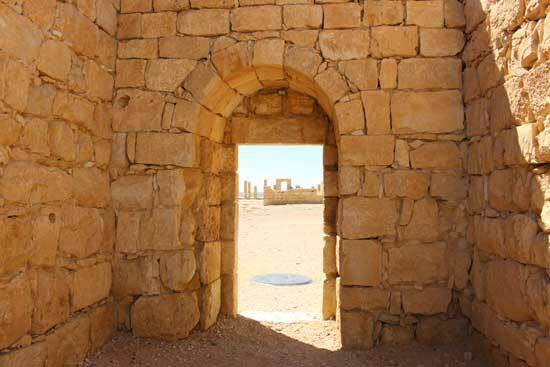 It was once King Herod’s royal citadel, and was designed with luxurious baths and many other royal appointments. When it was later abandoned, Masada became the last outpost of Jewish Zealots during the Jewish Revolt from 66 to 73 AD. When they realized that they could not win, the Jewish warriors chose to kill themselves instead of surrendering. The design of the ancient fortress is amazing, revealing the work of the many brilliant minds. Every drop of rain was captured and funneled to huge water stores beneath the earth. The water was used for drinking, agriculture and even baths. Masada is a UNESCO World Heritage site, and it has a revered place in Jewish culture. The Negev Desert stretches across southern Israel and accounts for almost half the land in this tiny country. You can drive for miles without seeing another soul. The desert is dry, wild and rugged and has a beauty all its own. Take a jeep tour with Adam Sela Jeep Tours (www.adamsela.com) into the Ramon Crater. Their local knowledge is invaluable. They’ll not only tell you the stories of this land, but will point out hidden wildlife that you would otherwise miss. Plan for a whole half day exploring. Time seems to have stood still at Avdat National Park, which is home to the remains of the ancient Nabatean city of Advat. Founded in the third century BC, Advat was once a caravan station on the “Spice Trail” from Petra to Gaza. 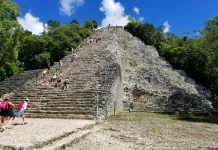 Spend the afternoon exploring this incredible World Heritage Site, where you can walk through the ruins of ancient villas, bathhouses, churches and caves. 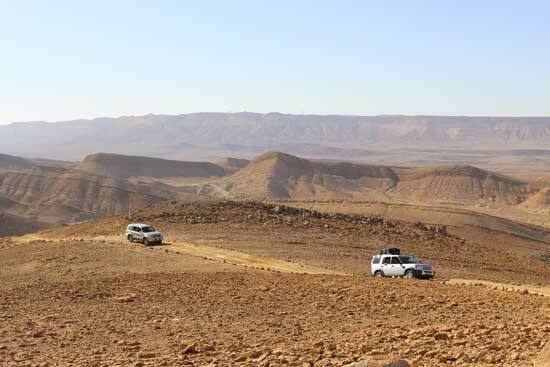 The national park is located in the Negev Highlands. For those who follow the Christian faith, one of the most meaningful things to do in Jerusalem is to walk the Via Dolorosa. Many Christians believe this was the route that Jesus walked, carrying his cross, on the way to his crucifixion. The route starts near Lions’ Gate in the Muslim Quarter and ends at the Church of the Holy Sepulchre in the Christian Quarter. The path incorporates 14 Stations of the Cross, each marked by a tiny plaque describing what tradition says happened here. The street itself is filled with pedestrians, vendors and shops, so it can be a difficult place for prayer or contemplation. But if you plan ahead and pick up a guide to provide information on each station, it can enhance the experience. The Western Wall in Jerusalem is perhaps one of the best-known sites in the city. To really understand its size and significance, head underground to tour the Western Wall Tunnels. First discovered by British explorers in the 19th century, the tunnels run along 488 meters of the Western Wall. Their sheer size and weight will give you an idea of how impressive the Temple Mount really was. Just one of the stones weighs almost 570 tons. 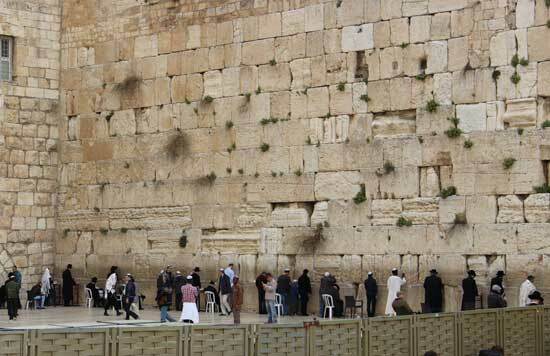 In order to view the Western Wall Tunnels, you must join a guided tour. Look for the entrance into the tunnels on the northern side of the Western Wall plaza. The tour is well worth the cost of 30 NIS. Our guide told fascinating stories of ancient Jerusalem and gave me a better understanding of what we were seeing. This very moving museum and memorial draws more than 1 million visitors a year. Yad Veshem was established in 1953 to commemorate and memorialize the 6 million Jews who were killed in the Holocaust, and it does so in a respectful and effective manner, memorializing each individual person by touching on authentic parts of their humanity – their letters, their photos, belonging and communities. The Hall of the Names of Child Holocaust victims is sobering, yet honors each tiny soul who was lost in the Holocaust. The Israel Museum is ranked among the world’s top leading art and archaeology museums, and a visit here will go a long way in helping you to understand the region’s history. You could spend the entire day here and still not see everything on its 20-acre campus. Exhibits range from prehistory to present day. Among its extensive collections of Biblical and Holy Land archeology are the Dead Sea Scrolls, which are exhibited in the Shrine of the Book. The Dead Sea Scrolls are 981 Pre-Christian Jewish manuscripts that were found in a complex of caves in the Qumran region of Israel in the late 1940s. Many consider these ancient Hebrew scrolls the single most important archaeological manuscript find of the 20th century. Dining in Israel is a true pleasure. Whether you’re at a roadside stand or a world-class restaurant, Israeli cuisine incorporates many fresh local fruits and vegetables, and often uses a rich blend of exotic spices. Local cuisine incorporates many Middle Eastern and Mediterranean dishes, including falafel, hummus, shakshouka and more. It also includes a huge variety of culinary traditions that were brought to Israel by Jews from around the world. Plan some extra time to explore local restaurants and sample local dishes. You won’t be disappointed. Tel Aviv is on the Mediterranean and has more than 9 miles of beautiful beach. The beaches are wide and clean; restroom and outdoor shower facilities can be found at most locations. (Some beaches have indoor showers and changing stalls as well.) At many locations, you can rent a lounge chair. Vendors often walk the beaches selling ice cream and drinks, and restaurants and cafes line the sand. 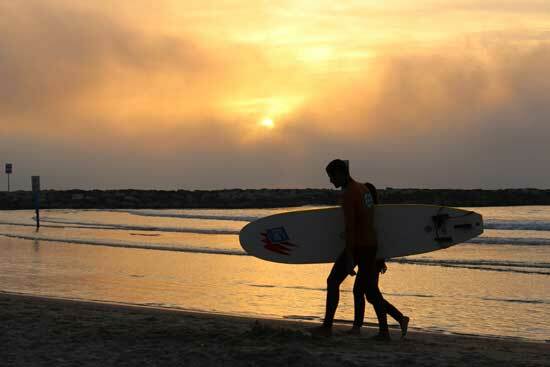 Sitting on the beach at sunset, watching the surfers as the sun goes down, is the perfect way to end your visit to Israel. 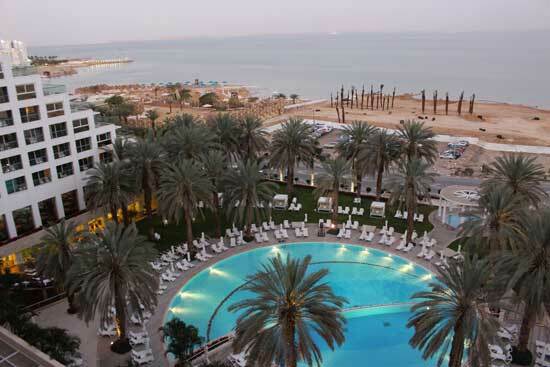 Located right on the shores of the Dead Sea, this high-rise hotel is a favorite with Israelis and visitors. 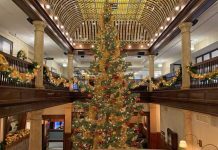 Although the hotel is an older property, it has been nicely cared for. The spa includes several salt water pools and massage rooms, and the restaurants serves huge buffets at breakfast, lunch and dinner. It’s just a short walk to the beach along the Dead Sea. The David Citadel Hotel is, without a doubt, one of the premier hotels in the country. This 5-star property has an incredible location in the heart of Jerusalem near the David Citadel, and it’s just a short walk into the Old City. Many of the rooms have incredible views right from the room balconies. If you are looking for the best place to stay in Jerusalem, this just might be it.